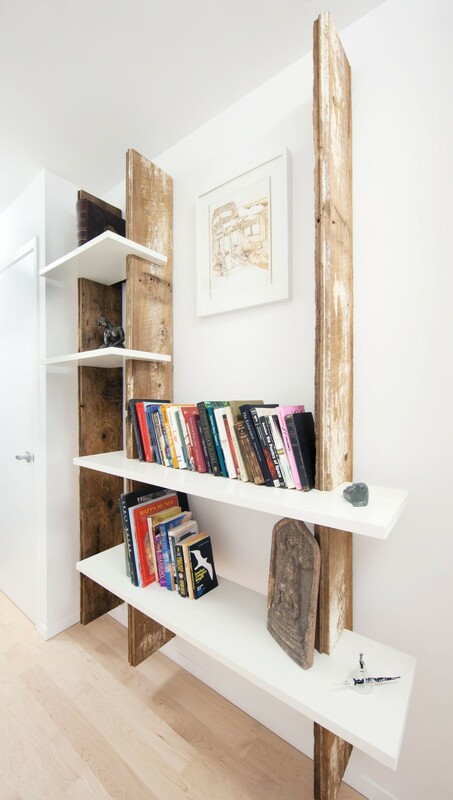 There’re more interesting shelves than horizontal or vertical panels. 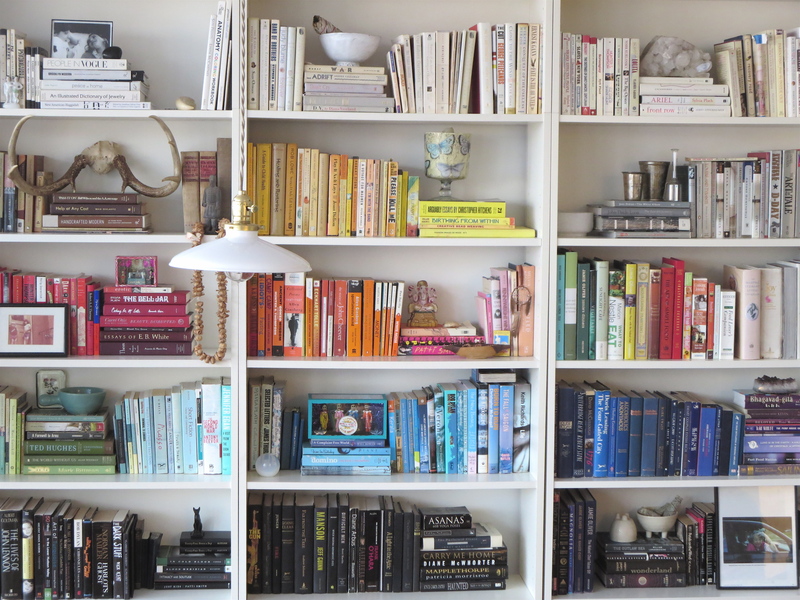 Books at home – a topic inspired by a show which I took part in recently. 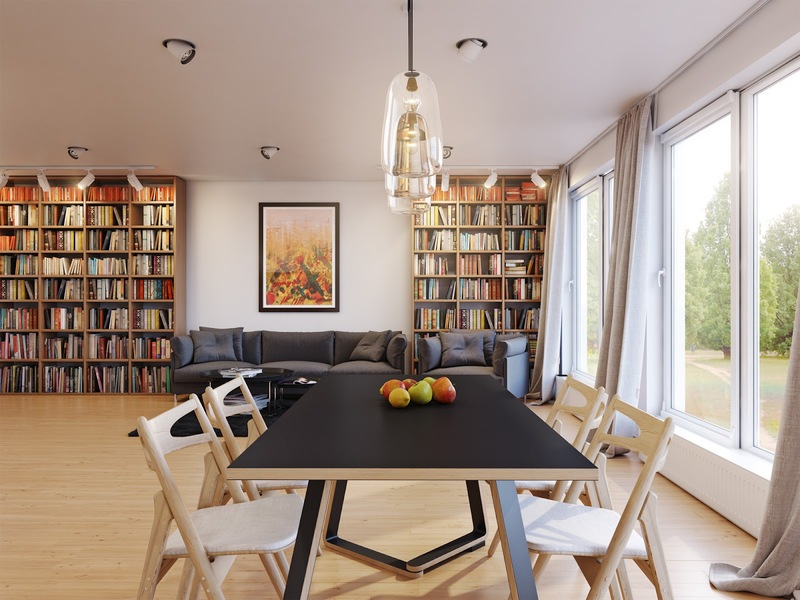 We were talking not only about books themselves, but also about their importance and order in an interior. 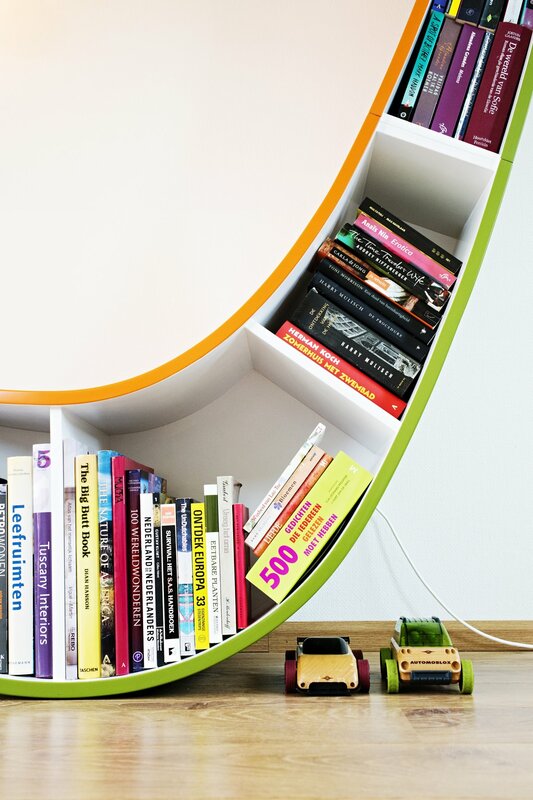 I was writing about it earlier in a similar topic which was named “Reading place at home” where I was showing various reading “corners” but this time I’ll show more diverse maybe sometimes unexpected ways how to compose books and what can be made of them. There’re people who don’t like to collect books: they borrow them or take them from the library. 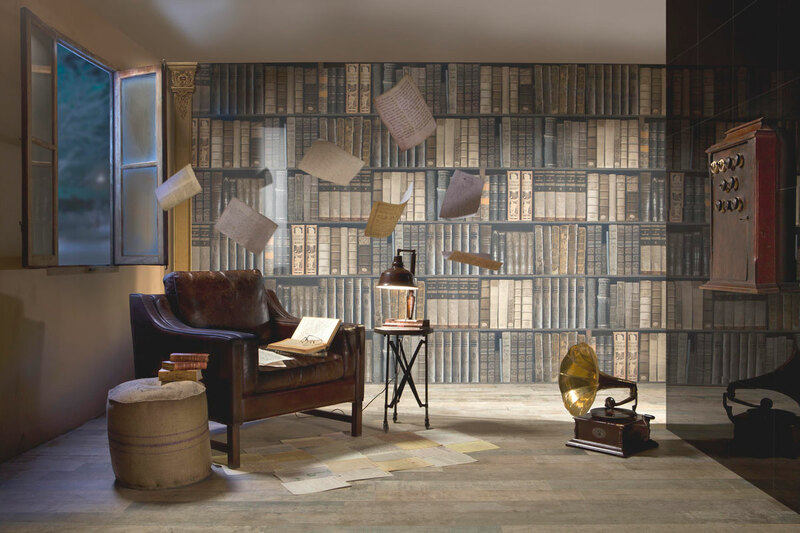 If you don’t have enough books and you’d like to see them and you like the mood they create, you can try to create it with wallpapers. With very realistic wallpapers. It’s of course not the same as a real book but it’s still something. 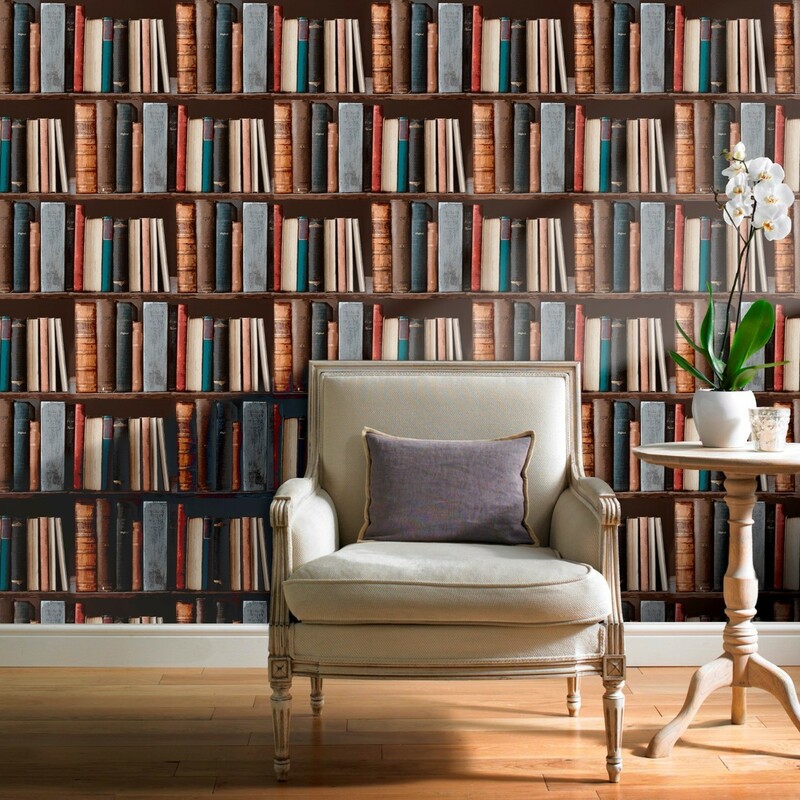 One more unexpected way – wall tiles with a book image. Probably it’s not possible to combine books in a more enhanced way. Sometimes books themselves serve as shelves and it looks pretty interesting. 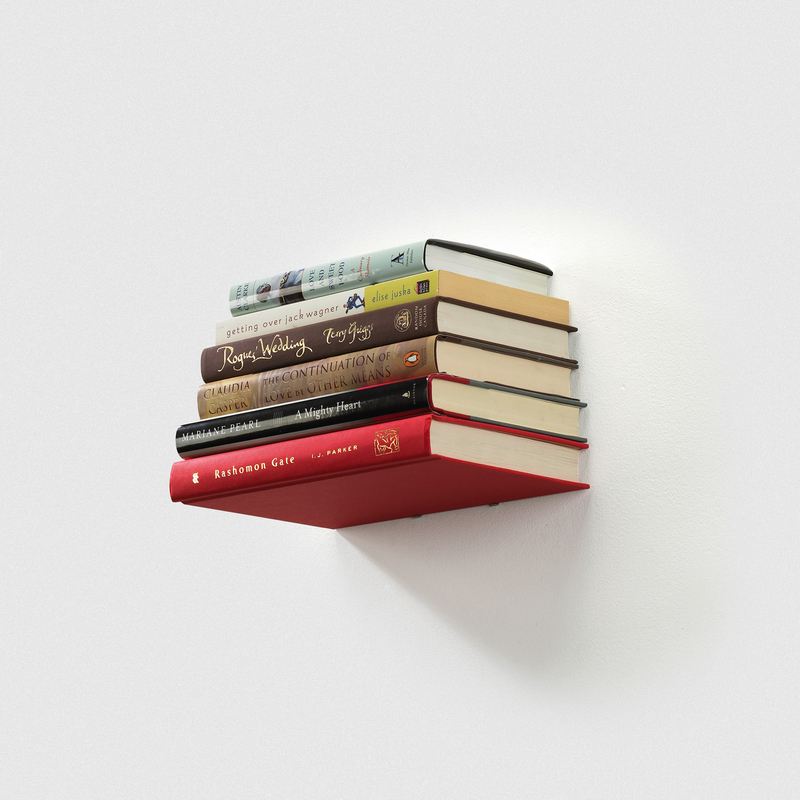 There’re special holders to buy with an aid of which books are fastened to a wall. That’s indeed original wall finishing version! 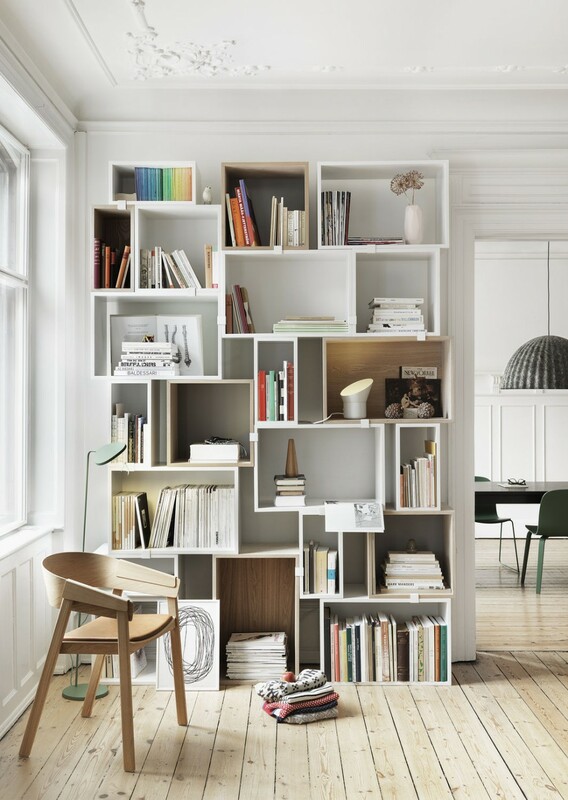 There’re more interesting shelves than horizontal or vertical panels. There’s no limitation for imagination, almost everything can be used and if you google you find not fewer forms – from trees to hooked. 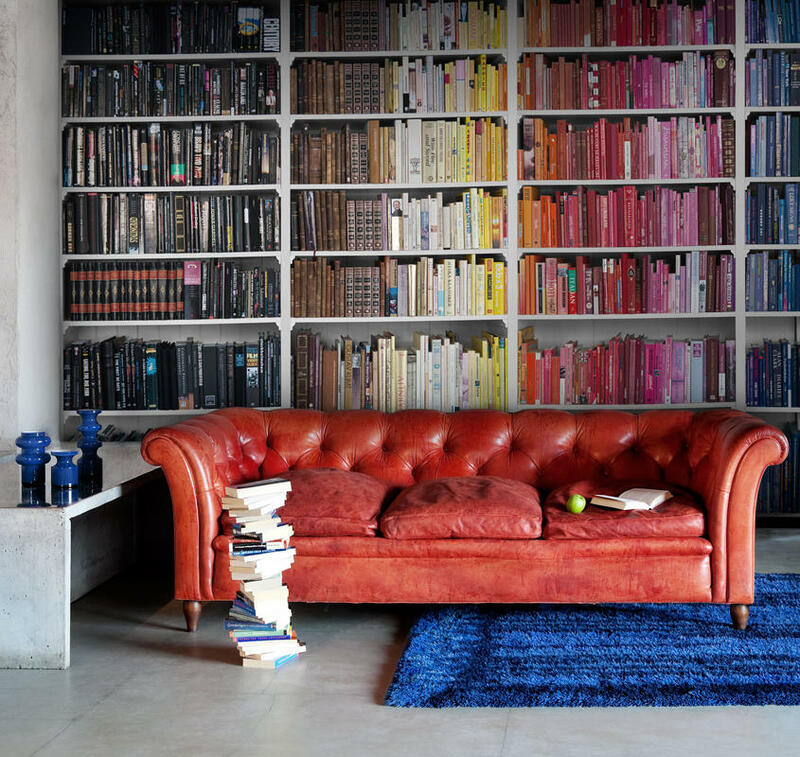 Well and to combine books in accordance with their colors is an appreciable challenge. Probably in this case books are being bought not for their content but for their appearance. During an interview I was saying that probably it’d be necessary to slightly cheat and to roll books into colorful papers by our own, however, in this example everything looks fair. Various details look very cozy, they move from a place on books to places next to them. 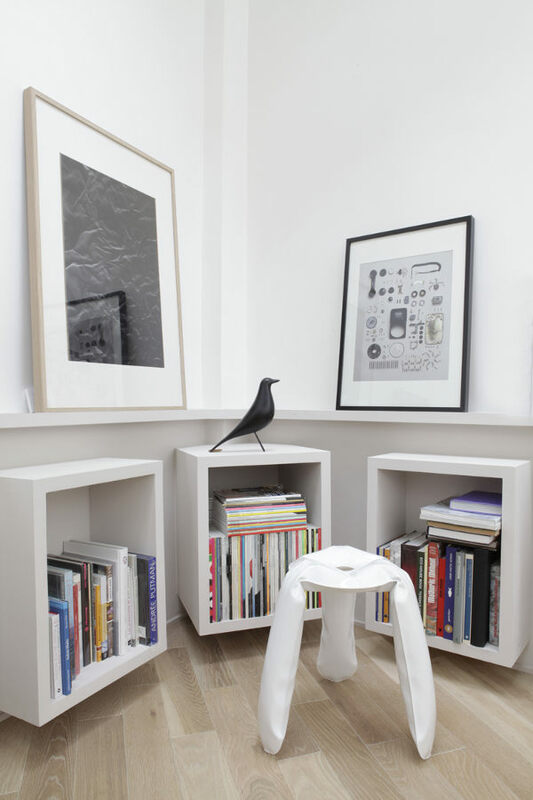 It’s possible to buy different “boxes” for books which can be of different height and length. 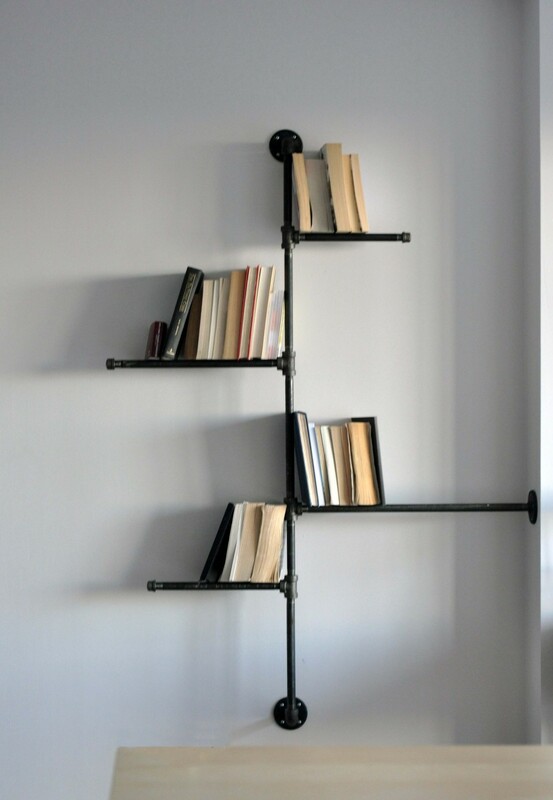 To tell the truth such shelves cost a lot, therefore, the simplest way should be to make them by your local furniture manufacturers for much lower price (I don't know if it's cheaper outside Lithuania). 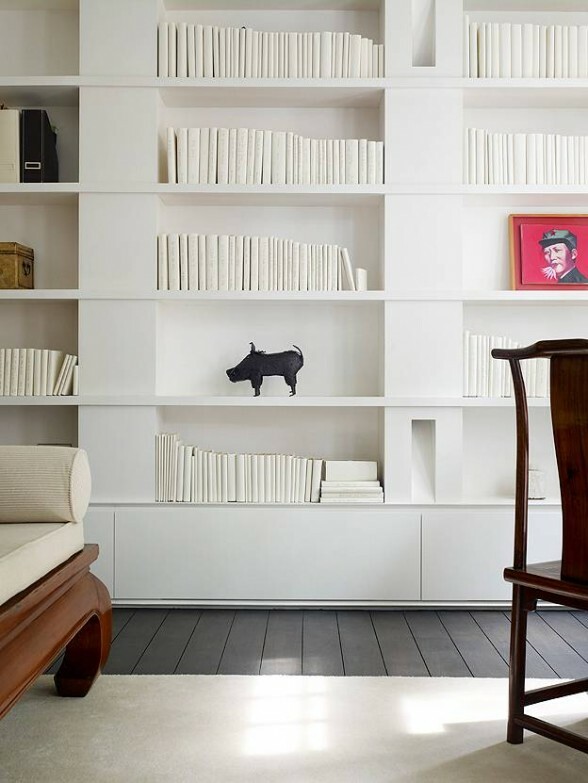 Such a cluttered book shelf provides real charm and carelessness for space. 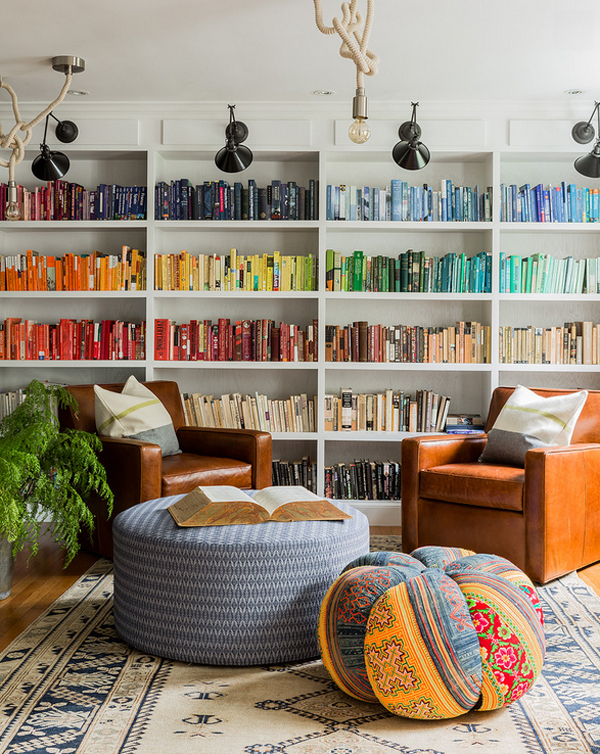 Probably there’s the case when the books should be “dressed” with papers of the same colors because I don’t know any other way how to explain such a view of books. 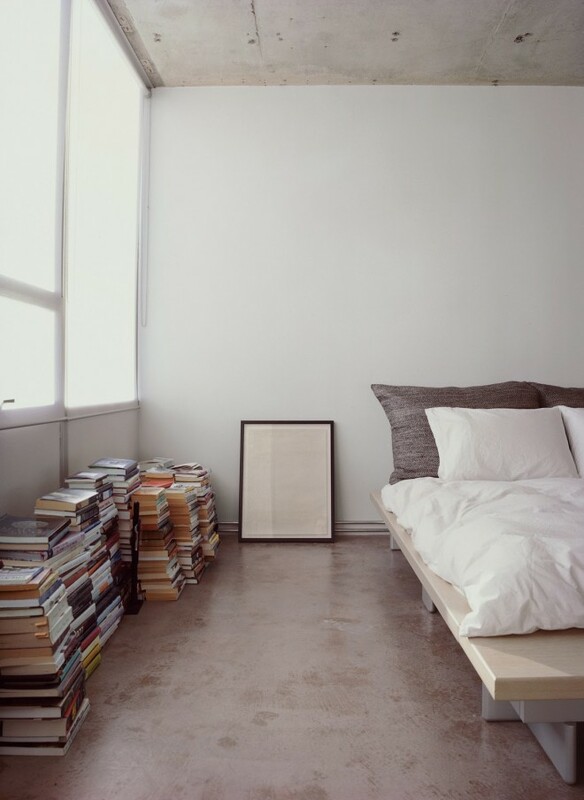 A rather convenient and simple way to keep books is to put them on the floor. Again a mood of carelessness is created, a person who’s living in such a space looks free and maybe a bit artistic for me. On the other hand, sometimes books are kept in such a way because it went out accidentally, there was no space in other place, etc. 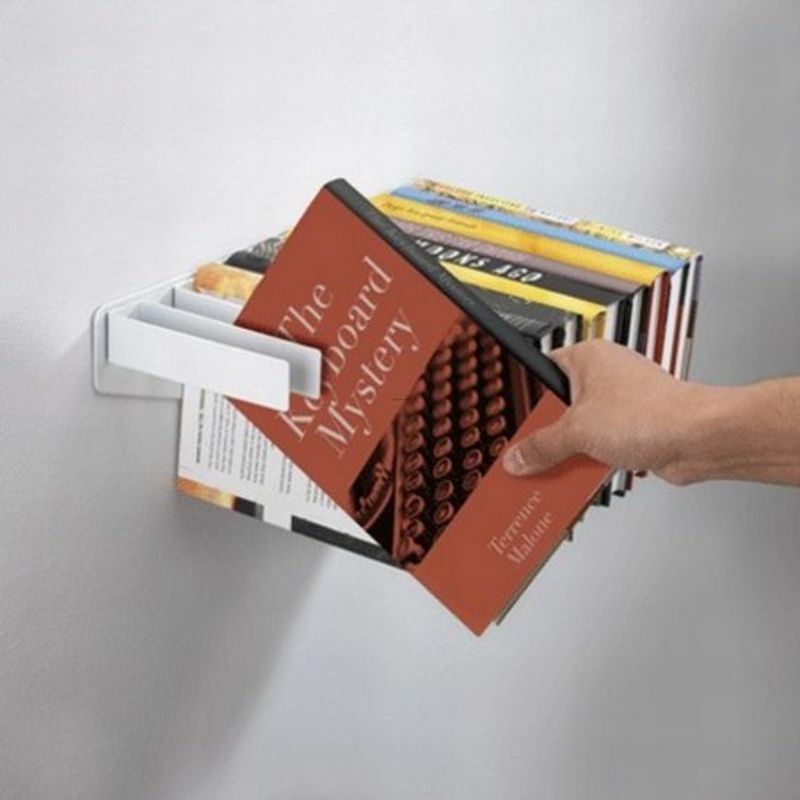 Books are such a thing which has a lot of ways to use them. Probably you’ve already seen a table, bed headboard and DIY work made of books. There’re indeed a lot of ideas on the Internet, however, here an attitude of a person to the importance of book and its holiness is decisive. For some of us to “play pranks” of a book isn’t acceptable, for others a book has no worth.